This is a really great product for those of us who have trouble balancing our protein/moisture. 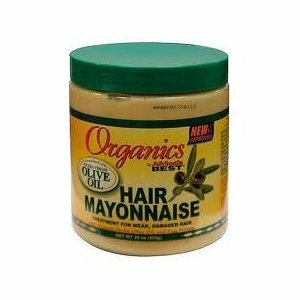 It is the only product I use to deep conditon my hair right now. I have used other products that did the same work, but they are too expensive. The first ingredient is water, but it also has mineral oil in it, which may stop the product to penetrate the hair shaft. Do not let that stop you from buying the product, because it WORKS. For best results, shampoo. 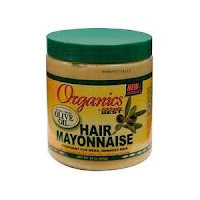 After rinsing, massage a generous amount of Hair Mayonnaise evenly into hair from roots to ends. For extra conditioning, cover hair with a plastic cap for 10 minutes. Rinse hair thoroughly with warm water and style as desired. Note: I leave it on my hair for two hours after washing my hair with shampoo for extra moisture. I do not use additional conditioner on my hair after rinsing the product out. I proceed with my leave-in conditioner and my sealer.